A beefy 808 should be most pronounced below 200Hz — whereas a hi-hat really has no good reason to have frequencies in that below 200Hz area. No one is listening to a hi-hat for the low-end, just like no one is listening to an 808 for frequencies above 10,000Hz. When the two start to get in each other’s lanes, the mix can start to mud and feel cluttered. But it doesn’t have to be that way. A smart producer and/or mixer will know to tame unwanted low frequencies in instruments that don’t call for a pronounced low end, such as most hi-hats. So, let’s get into the weeds about when and why you should tame those unwanted low frequencies. A surplus of unwanted low frequencies can overwhelm mid & high frequency instruments like vocals, guitar, piano, and strings. 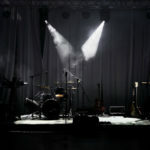 Typically, these instruments are the most important in terms of communicating melody, lyrics, emotion, and chord progressions. Think about it — there are plenty of incredible songs with just mid and high frequencies, but what popular songs are just rumbling low frequencies? Sure, if you’re in an experimental band, that could be cool. But the forefront of popular music — from classical to jazz to rock to pop — has been defined by the mid to high frequency instruments. So, when you have unnecessary low frequencies in your mix that mask those more prominent musical passages, it not only clutters your mix, it weakens your song’s ability to connect and communicate clearly. Like we mentioned in the intro about hi-hats, certain instruments really don’t need low frequencies to be present. 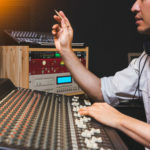 For many producers who are relying on samples or recordings of old music, you aren’t always able to get your hands on a sample that was recorded mix-ready. So, for example, if you have a sample of some shakers — before you move on and forget about them, throw on an EQ spectrum to see if there are unwanted frequencies in the low end. Oftentimes, samples will have unwanted clutter that needs to be cleaned up, and not all of it will be easy to hear. You have to actually look at the EQ spectrum. You might be thinking, “If I can barely hear the low frequencies in this shaker sample, why do I have to cut them out?” The answer is that if enough of those unwanted, unnecessary low frequencies build up, the low-frequency instruments that are actually important to your song will have to battle with them for clarity. If your clap has too much low end frequencies that don’t contribute anything to the quality of the clap, once your bass comes in, those frequencies are going to clash. Okay, so say you’ve read this far and gone into your mix and want to mess with some vocals. You realize there is more going on below 200Hz than necessary to make those vocals work, so you cut that out and let them shine in a more fitting frequency range. But then, you decide you want to put some reverb on the vocal chain. If that reverb has a trail with low-end frequencies, you’re going to run into the same problem again. 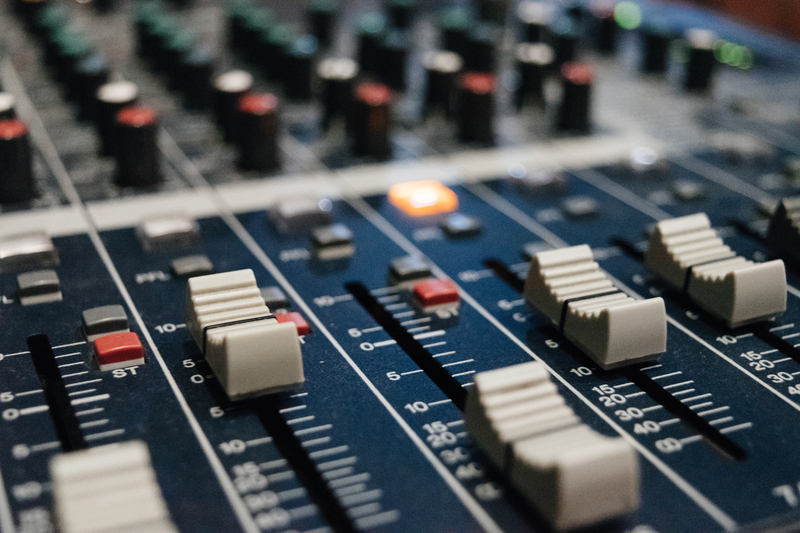 Whether it’s reverb, delay, distortion, or whatever creative effects make your music shine, make sure the trails coming from those effects are within a frequency range that will add to the quality of your mix, not make it sound muddy. Low-end frequencies have an important role today in music today, especially since electronic production is becoming more and more prominent. A good 808 or sub-bass line can add powerful layers that make your music more emotional and heavy-hitting. Can you imagine The Weeknd’s “The Hills” without all of the bass? But if his vocals and the hi-hats and the snares had a bunch of unwanted low frequencies, you can bet that bass would not be nearly as clear or impactful. There are tools like sidechain compression that help make sure frequencies don’t collide — use them to your advantage, because it isn’t always as simple as cutting out the EQ you don’t want. But be sure that if your tracks are not dependent on those lower registers that they are EQ’d and compressed properly to blend in with the mix. Mastering is a science and an art form within itself. I’ve always been fascinated with sound engineering. I can compose music all day long but when it comes to mastering, that’s a whole other beat I have yet to tame. Articles such as these are a great help to better understand the mechanics of frequencies and where they belong in a mixdown. Thanks for posting this! Very nice technical details on the art of mixing! Will be useful, especially for mixing vocals.